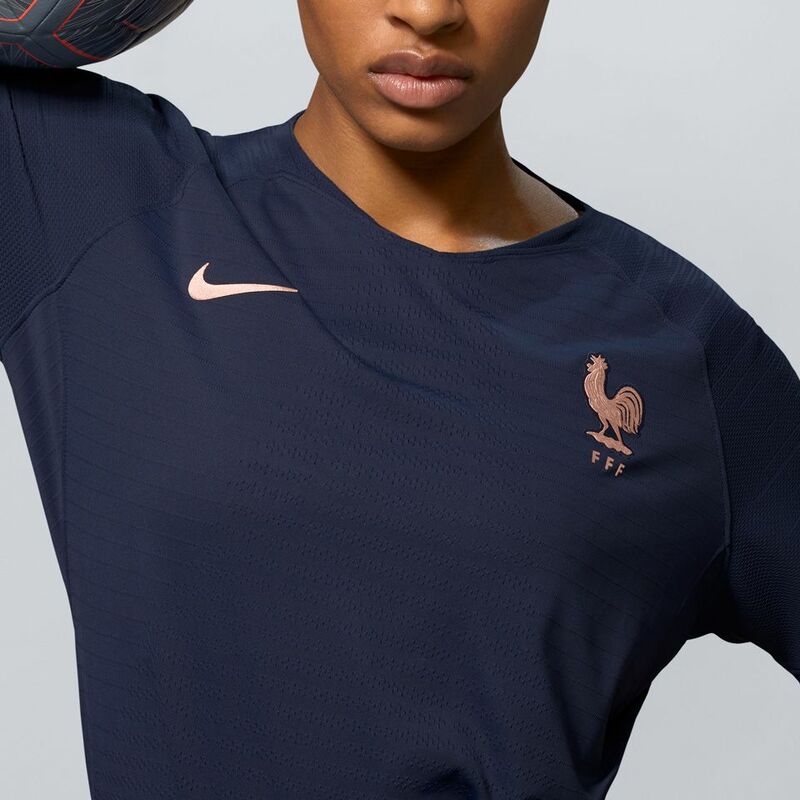 Following in the footsteps on the men’s team, Les Bleues are ready to take their chance on home turf. 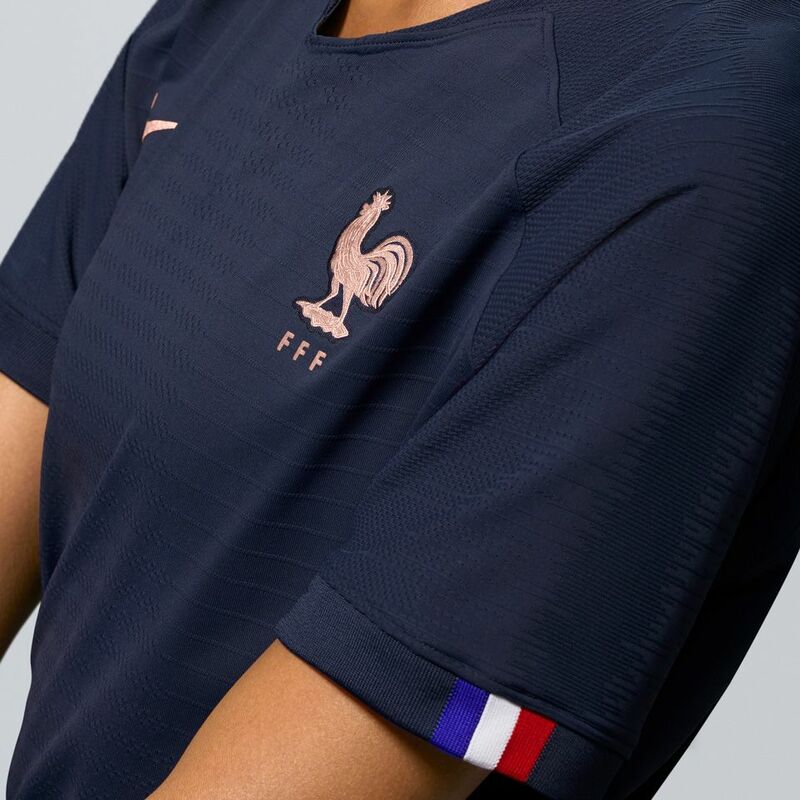 Show your support with the new 2019 France Women’s National Team Collection. 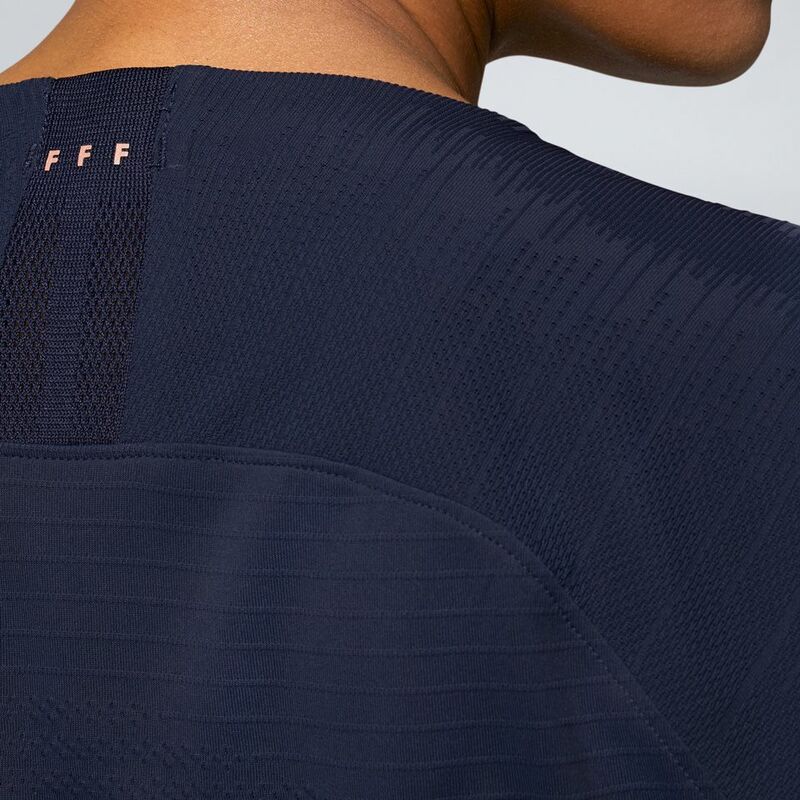 For home matches, the FFF women will dress in a traditional blue jersey with rose gold details —including crest, FFF marking at the back of the neck and the worlds ‘Nos Différences Nous Unissent’ within. The momentum for women’s soccer has been building in France for the last two decades. 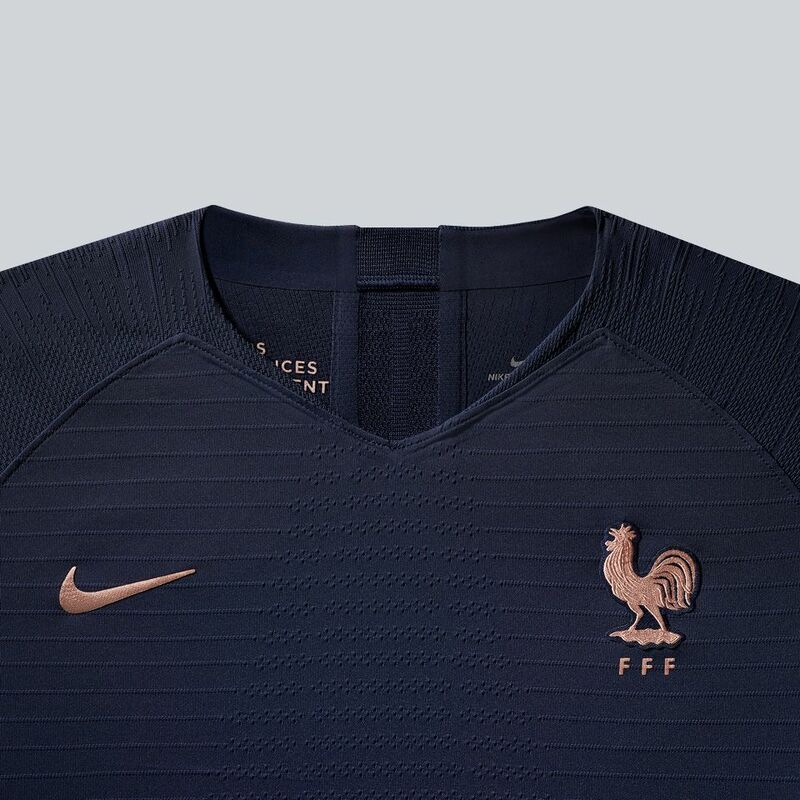 A dedicated women’s training facility was founded at CNFE Clairefontaine, the national center, in 1998 and has since helped raise, foster and progress a generation of female players. The results of the program are undeniable. 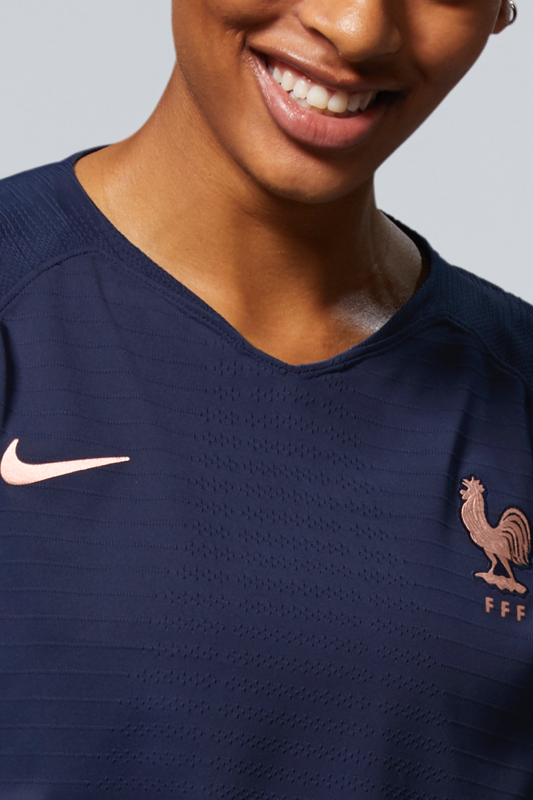 After limited success prior to the 2000s, Les Bleues have emerged as one of the most consistent outfits in women’s soccer, ranking among the world’s best and boasting a phenomenal goal ratio (33 scored and only four conceded across 10 matches in 2018). Fourth in 2011 and quarterfinalists in 2015, the chance of glory in 2019 is more real than ever.